Remember, you now have to stay in some sort of education or training until your 18th birthday. But you do have a number of options for the form this can take. This page helps to explain those options. There are also some very useful downloads at the bottom of the page, including the presentation Helen Cole (our previous careers advisor) did with current Year 11 students in her group sessions in July 2018. The most popular option is to continue your studies into A Levels. You can do this at Herschel or at another school with a sixth form or a sixth form college. This provides you with the best basis to access university courses, although it's not the only way. Experienced adviser Ray Le Tarouilly gives some invaluable tips on how and why to choose your A level subjects. One of the qualification pathways you may be considering is whether to take A levels. These are qualifications taken at schools that have a sixth form and at many colleges. The GCE (General Certificate of Education) Advanced (A) level has been in existence since the early 1950s and so your grandparents and possibly great grandparents may have taken them. A levels do not train or prepare you for jobs but they are well respected by employers and are still the standard entrance qualifications for entry to university. The skills developed from taking A levels are highly valued eg history or English Literature develop skills in researching information and presenting well-structured and argued written pieces of work. Mathematics develops problem solving and reasoning skills which are often talked about by employers as things they see as desirable from applicants. Sciences develop the ability to analyse and present information effectively and so on. They take 2 years to complete. A levels are graded either entirely or mostly by exams at the end of the course, depending on the subject, with the top grade possible being an A* and the lowest pass an E grade. “U” grade stands for unclassified which is a fail. A levels are not changing to number grades as with GCSE. They are much more demanding than GCSEs; rather than simply repeating information, you will be required to express your own ideas much more and study subjects in much greater depth than at GCSE. Essays will be longer and need to show a much greater depth of understanding than those encountered at GCSE. 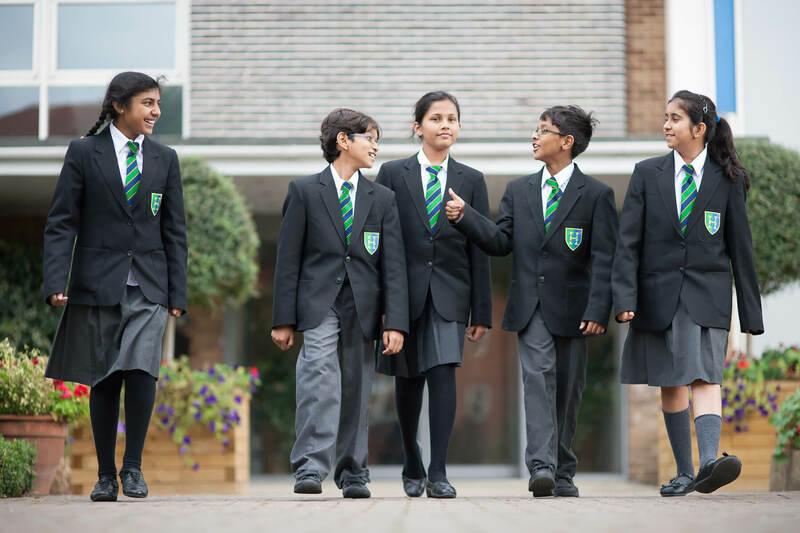 To be permitted to study A levels, you will need at least 5 GCSEs grade C/new grade 5 including English language and mathematics, and for some subjects at A level you will need at least a grade B/new grade 6 at GCSE eg if intending to take a language, sciences or mathematics at A level. Check college and sixth form websites or prospecti as they can vary. Three, sometimes four subjects only are studied. A levels buy you some time if you are unsure about what you want to do as a future job or study at university, but it is important to choose subjects that are going to be right for you and combine to maximise your choices later. - That you have the ABILITY to take them. For example, subjects such as sociology or government & politics may be new to you, but you need good English skills as they are essay based. - That you are INTERESTED in them. A levels will require you to do a LOT more private study, reading etc outside of lessons. Having a passion for a subject will help! - That they are needed for the career or university course you want to do. For example, at least two sciences (usually chemistry and biology) will be required for entry to medicine, dentistry or veterinary science at university. Entrance requirements for some university degree courses can be high, so grades achieved at A level can be essential. A debate I have often encountered in my many years of careers guidance work is whether students should take three sciences for entry to medicine. Taking three sciences will potentially open all universities to you, but the majority are happy to accept two, with the third subject being something different. ONLY take three sciences if you are particularly good at them! If, for example, you are very strong in the life sciences (chemistry and biology), also very good at history but weaker in physics, you would do better to choose history. Subjects like history are among what are called facilitating A levels which are those preferred or even required by more competitive entry universities. Having a broader skillset which can be gained from taking a non-science subject can be a good thing, for example you will have developed strong written communication skills from studying history which can be invaluable when writing university assignments. For entry to medicine, things that you do OUTSIDE of A level study are also very important, for example work experience with vulnerable people, regularly looking at sites such as the GMC (General Medical Council) to keep up to date with issues in medicine and attending a Medlink course to enhance your understanding of medicine as a career. If you are focused on a business-based career, it can be tempting to choose all business type A levels such as business studies, economics and accounting. This is not necessary, in fact universities often prefer a broader skillset from students entering a business-based degree. A language A level is particularly useful for entry to business courses, as sciences and mathematics develop analytical and problem solving skills, English literature or language develop written communication skills, geography strengthens data presentation and analytical skills and so on. If you enjoy writing a great deal, three verbally based subjects can be an attractive proposition, for example history, government & politics and sociology. But remember that there will be a LOT of reading and essay writing! The age old nutshell is whether to take A level law for entry to a law degree. If I had been paid £5 for each time I have been asked this question I would be very wealthy! The straight answer to this is that it is NOT necessary to take A level law to study this subject at university. Returning to the question of facilitating subjects, if you take at least two from the following list, you will have better opportunities for entry to more competitive entry universities and/or degree courses generally. The facilitating subjects are:- Biology- Chemistry- English Literature- Further Mathematics- Geography- History- Mathematics- Modern Foreign or Classical Languages- Physics. However, do not lose sight of your aims. For example, if you intend going into an art/design based degree, then you will need to take a subject such as art & design, likewise music if you intend taking a degree in this subject. Click HERE for six other things you need to know before deciding! There are also some very useful documents to do with A Levels available for download at the bottom of this page - these include the 'Informed Choices' guide from the Russell Group of universities, a guide to surviving A Levels written by ex-Herschel student and now Medicine undergraduate Zara Zeb, guides to choosing A Levels for and applying for medicine related degrees, and also some information on other careers that are available in the fields of health and science. You can apply to do an apprenticeship, and get paid while you learn! See the apprenticeships page of this website for more details by selecting it from the menu on the left. You can do a different course at a college. This could be a diploma or a vocational qualification such as an NVQ, a City and Guilds or a BTEC. 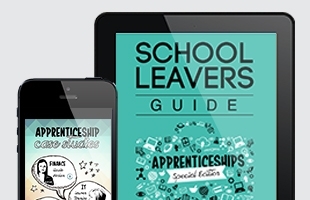 Ms Cole, the school careers adviser, can help you with these, and there is a list of some of the college courses that are currently available locally further down this page. The National Careers Service has a very good summary page for post-16 options - click on the logo below to visit. Click on each one below to go to the college website. Note that Activate Learning is a group of colleges that includes Reading College. The Windsor Forest Colleges group includes Windsor College, Langley College and Strodes College. You can also find a list of college open events in the downloads at the foot of this page. Entry requirements are 5 GCSEs including English.